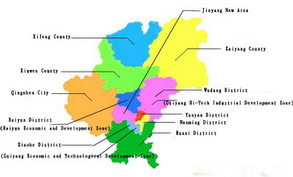 "Guian New Area and Guiyang have primarily established a supportive development model with dislocation targets. 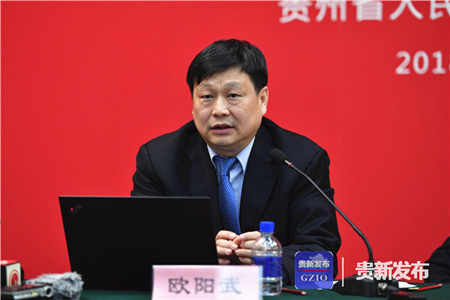 Rapid development of big data is apparent in both places, where a primary clustering and leading effect of the industry has formed," said Sun Dengfeng, director of Guian New Area Administrative Committee, Southwest China's Guizhou province, in Beijing on March 10. Sun made his remark at a group interview with the Guizhou National People's Congress (NPC) deputies, part of the 2018 NPC and Chinese People's Political Consultative Conference (CPPCC) Annual Legislative and Political Advisory Sessions underway in Beijing from March 3 to 20. He also stressed that high security and efficiency, low cost, and clustering and green development have become new area attractions to potential investors. "By the end of 2017, Guiyang was home to 1,200 enterprises with main business revenue reaching 80 billion yuan ($12.65 billion), a year-on-year increase of 21 percent. 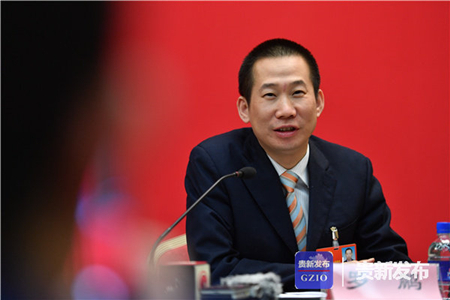 Big data has become a strong engine propelling Guiyang economic and social development," said Guiyang Mayor Chen Yan. Luopeng, president of Huochebang, a Guiyang-based online logistic company, hailed Guiyang as a treasure bowl for the development of big data. Its cozy climate, rich energy and natural resources add to the city's preferential policies for entrepreneurs. Luo's company has merged with another company to become a bigger group, which manages 7,000 employees, 1.25 million clients and 5.2 million trains for mid and long-distance transportation. "We very much appreciate Guizhou," said Luo, showing confidence in the big data development in the province. Big data development has also been a priority for Guian New Area. On Jan 17, Guizhou HXT Semiconductor Technology was established through cooperation between Guizhou province and Qualcomm. 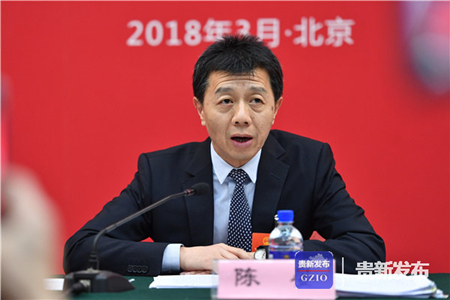 "Guizhou's efforts in semiconductors will contribute more to the province's development of big data and high and new technologies," said Ouyang Wu, president of HXT Semiconductor Technology.